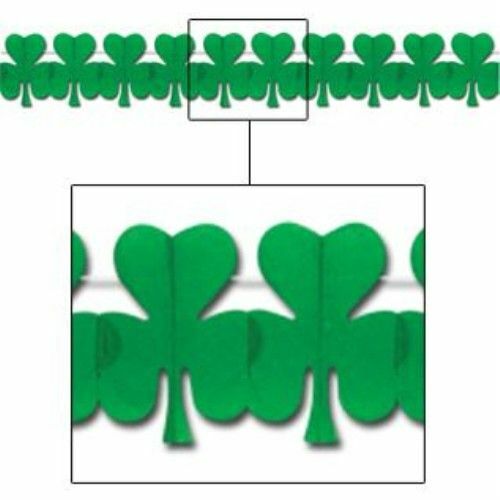 Irish Garland Party Decoration. Spruce up your decorations with this garland celebrating St Patricks Day. Green cloverleaf garland Size 144" x 5"